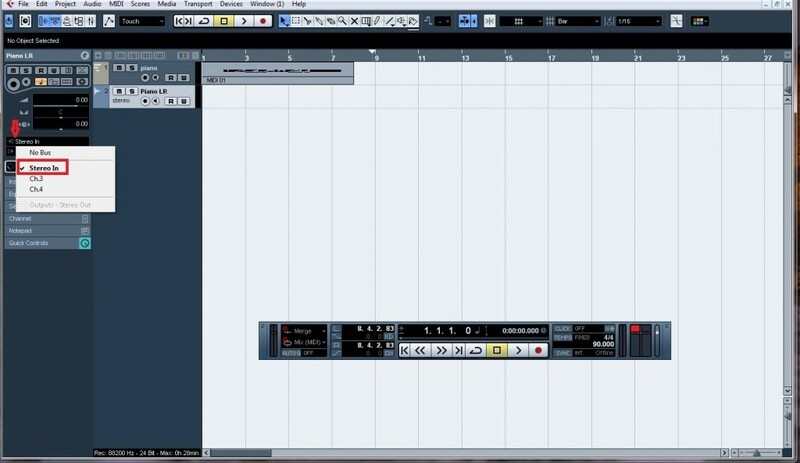 In a previous article (https://creatingtracks.com/cubase-how-to-export-midi-and-vst-instruments-as-audio-files/) we learned how to export your midi/vst instrument as an audio file in Cubase3. Today we are going to learn how to do it, but this time using a hardware synthesizer or keyboard as the sound generator. 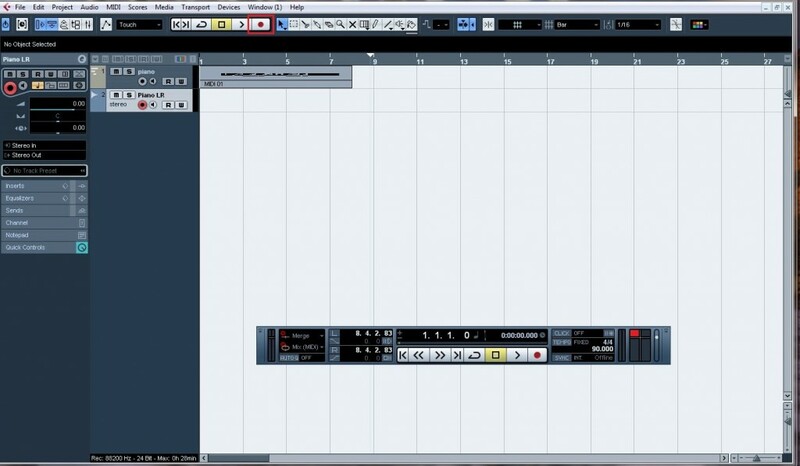 Imagine the following situation: you’re working on a new song and you want to replace a piano track recorded using a vst with that wonderful grand piano patch from a Yamaha Motif synth. How can you do it? In fact, there’s more than a way to do it. 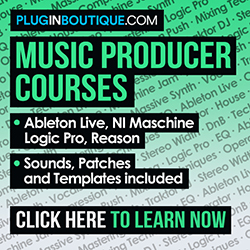 Either you can record the track again plugging Motif’s left and right audio outputs in two input channels of your audio interface, or you can use the midi track already recorded and just set Motif as the audio source. 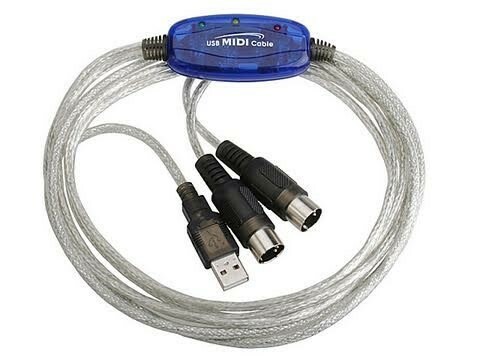 The second choice is faster and that’s what I recommend unless you didn’t like the result of your midi track. P.S. The above images are for example purposes only. P.S. : You have the same result by adding 2 mono tracks and addressing each interface channel to each mono track. 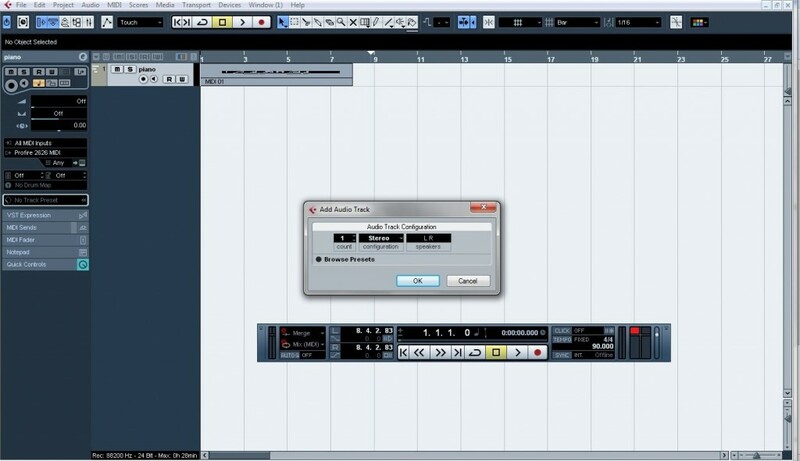 It’s important to realize that Cubase7 is recording the audio in real time, so you will have to let the midi track play until its end. So, if your midi track lasts 3 minutes, that’s the time you will have your audio track recorded. Imagine that it’s just like you have another musician playing an instrument in your studio while you record the performance. 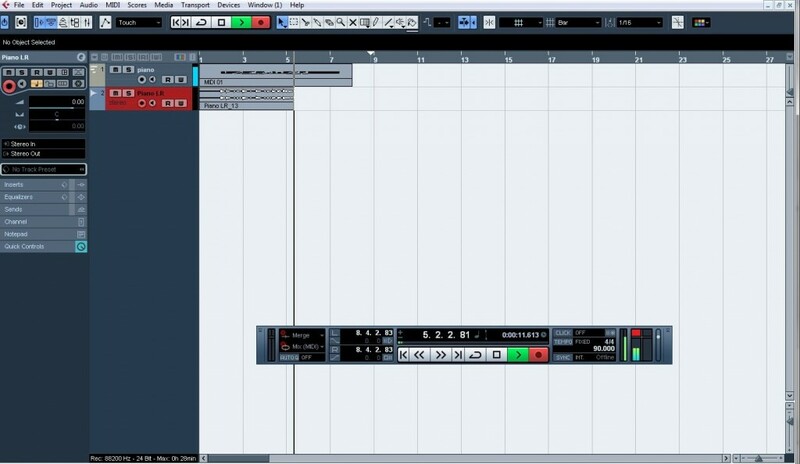 The audio track is now ready to be used in your project. So, the major difference between using a patch from a vst and the patch from the hardware synth lies in the amount of time needed to get the audio file generated.